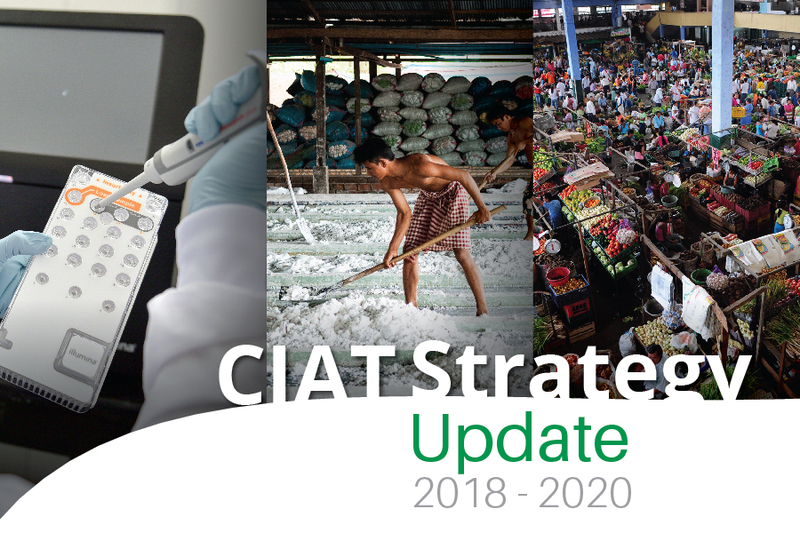 In the five years that have passed since CIAT’s current strategy (2014–2020) was prepared, we have embraced new initiatives such as sustainable food systems, big data, and land restoration. We have also incorporated into our agenda the mandates of the UN Sustainable Development Goals and the Paris Agreement on climate change while maintaining our focus on impact at global, regional, national, and subnational levels. 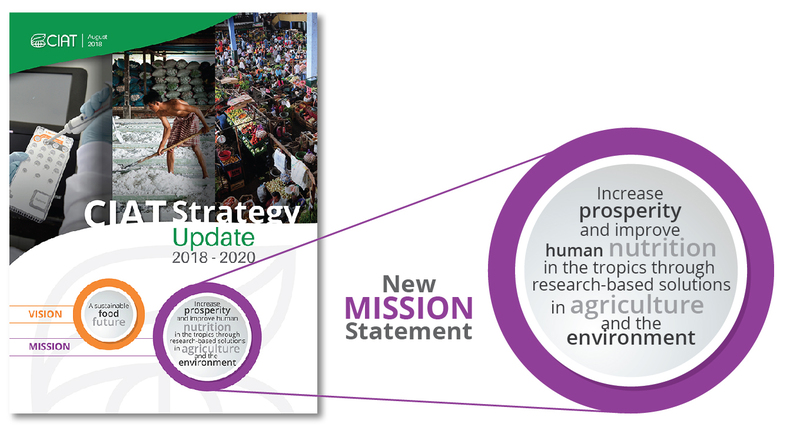 This Strategy Update, informed by consultations with CIAT staff, its Board of Trustees, and external experts, reaffirms relevant aspects of the current strategy, revisits its mission statement, and responds to new opportunities, such as an Alliance with Bioversity International – a sister CGIAR Center – and challenges resulting from global drivers of change. In doing so, it introduces new initiatives and our new research area in Agroecosystems and Sustainable Landscapes and identifies opportunities for creating an enabling organizational environment to deliver impact. 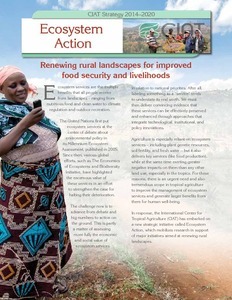 Scaling up investments in agriculture and agro-ecosystem sustainability by enabling policy decisions. The global development community is facing unprecedented challenges with direct implications for the public and international agricultural research. 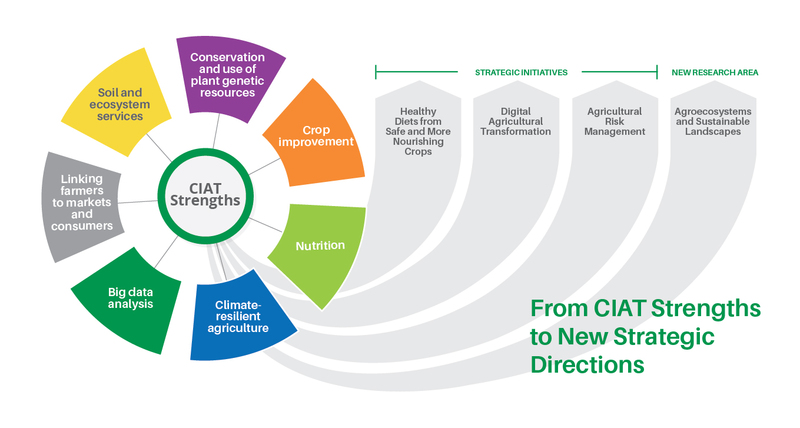 CIAT’s 50-year history has been one of effective and timely adaptation to the changing external environment, and of pioneering new initiatives within CGIAR and beyond. CIAT, with its multidisciplinary systems approach to research for development, has never been in a stronger position to help address these challenges. And this Strategy Update aims to keep this approach sharp. We encourage you to read, share, and engage with us as we embark on these new directions. 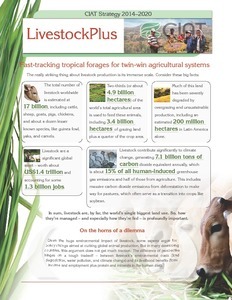 LivestockPlus promotes forage-based livestock production to mitigate greenhouse gas emissions while improving the livelihoods of the rural poor. Ecosystem Action aims to enhance ecosystem services in agricultural landscapes as a means to improve the livelihoods and well-being of the rural poor. 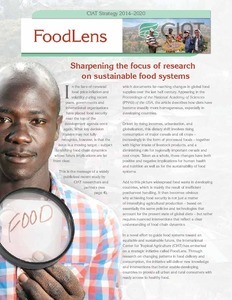 FoodLens aims to help develop more sustainable food systems that serve the needs of a rapidly urbanizing world.